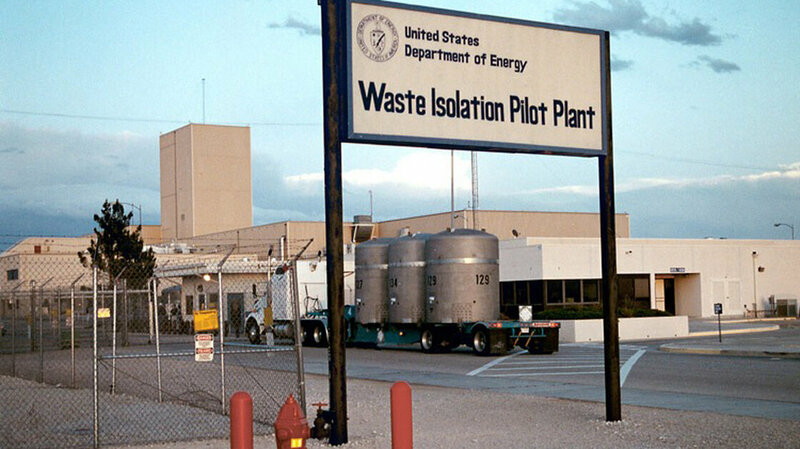 13 Workers Exposed To Radiation At N.M. Nuclear Waste Dump : The Two-Way : NPR. In this undated photo provided by the U.S. Department of Energy, a shipment of nuclear waste arrives at the Waste Isolation Pilot Plant, near Carlsbad, N.M.
There’s never a good week for nuclear waste, but this week has been a particularly bad one. Officials at the in New Mexico have disclosed that 13 employees inhaled radioactive material after a major accident earlier this month. While there’s no risk to the public and the exposed workers did not need immediate medical treatment, the incident is shaping up to be a major setback for the nation’s only dedicated nuclear waste dump. The Waste Isolation Pilot Plant is a one-of-a-kind facility. Located just outside Carlsbad, the plant is mostly underground — more than 2,000 feet beneath the surface is a network of tunnels and rooms dug from an ancient salt bed left over from when the area was an ocean. Inside, the government stores radioactive junk from Cold War nuclear bomb production facilities. So far, the plant has accepted more than 80,000 cubic meters of waste, enough to fill several soccer fields. On Feb. 14 around 11:30 p.m. local time, underground. Nobody knows exactly what went wrong, but the most likely scenario is that a huge chunk of salt fell from the ceiling and ruptured a drum or multiple drums of waste. The plant’s safety systems quickly kicked in: The air from inside the underground facility was sucked through a series of filters designed to catch radiation before it escaped. A hunk of salt from the underground nuclear waste dump in Carlsbad, New Mexico. 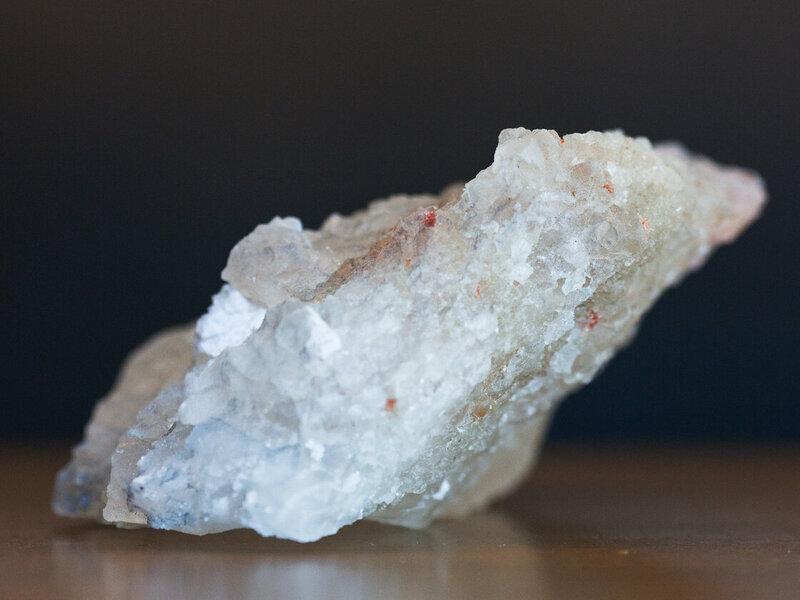 A piece of salt is believed to have fallen from a cavern ceiling and crushed drums of waste. Initially, it seemed the system had worked flawlessly. But two days later, independent monitoring stations operated by New Mexico State University . The levels are extremely low, well below Environmental Protection Agency reporting limits, according to , head of the Carlsbad Environmental Monitoring and Research Center, which runs the stations. “I do not believe there’s any environmental or health concern associated with what information we have to date,” Hardy told NPR. The story didn’t end there. On Wednesday, samples from 13 employees on duty the night of the accident indicated they had inhaled radioactive americium. At a news conference on Thursday, Farok Sharif, president of , the contracting firm that runs the plant, said the levels appeared to be very low. They are continuing to monitor the workers closely. Sharif also said more workers might have been exposed. The morning after the accident, personnel returned to the plant apparently unaware that radiation had been detected on the surface. The workers were instructed to shelter in place later that morning, after a radiation release was confirmed. They were allowed to return home in the afternoon, but now those workers, too, must be checked for possible exposure. Sharif says a plan is being formulated to re-enter the underground tunnel system and assess the damage. It’s a process that likely will take weeks. It may be many months, a year or even longer before operations can resume. While Hardy says the health and environmental risks are low, the incident is a big blow to nuclear waste disposal in this country. Until this month, the plant had operated for 15 years without a single incident. This accident (and an ) will likely force a hard look at safety procedures. And more broadly, it could be yet another setback for long-delayed plans to take nuclear waste from power plants and store it underground.